« What traditional/new media innovation will NBC's "billion-dollar lab" lead to? 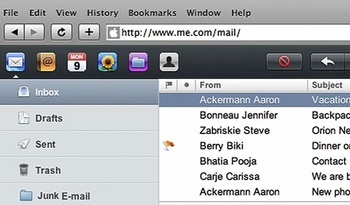 With the launch of Apple’s MobileMe just a day away, I have to wonder: How revolutionary will it be? Will it be blah like .Mac, the lackluster service it is replacing? Will it be underachieving like Apple TV versions 1.0 and 2.0? Or will it be revolutionary, the first service to truly bring the “cloud” and “cloud computing” to the everyday masses? I’m anxious to find out. Apple will take .Mac offline Wednesday at 6 p.m. PT, with the unveiling of MobileMe later in the evening. Members will not be able to access mac.com or any .Mac services during this time with the exception of .Mac Mail via a desktop application, iPhone, or iPod Touch. 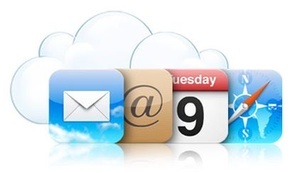 It’s unlikely, however, that the “cloud” portion of MobileMe will be turned on and operating. For that capability we’ll probably have to wait until Friday, when the iPhone 3G, the iPhone 2.0 software, and the App Store are released. The promise of MobileMe is alluring and at the heart of my recent slimming-down mobile strategy. Over the past month I’ve weaned myself from powerful (oversized, heavy) laptops and the accompanying clutter (an extra mouse, a portable hard drive, and way too many cables) when I go mobile, which is usually everyday. I take a MacBook Air with me, a power cord, a USB flash drive, an iPhone/iPod cable, and that’s it. If needed, I throw a small digital camera or an audio recorder in the messenger bag (aka The Man Purse) and I’m out the door. For this to work for me, I need MobileMe to be revolutionary, not blah, not underachieving. I need it to be my personal cloud, as I’ve written about before. 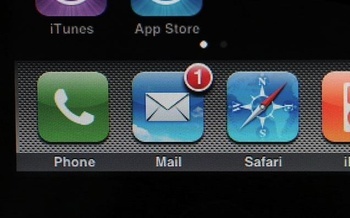 Will “push” email, contacts, and calendar work as advertised (see Apple’s MobileMe grand tour video)? “Exchange for the rest of us” is the number one draw for me, and if it works well, I’ll re-up my .Mac/MobileMe account when it expires at the end of the month. The Web app component to MobileMe — Me.com — is slick, especially if you are away from your desktop/laptop computer(s) and iPhone. It features a clean interface and the ease of drag and drop, among other enhancements, for mail, contacts, calendar, photos, and files. If this works well, I wonder why I’d even bother with Mail, Address Book, and iCal on the Mac or Outlook on the PC, unless I’m not connected to the Internet. The photo-uploading capability doesn’t really intrigue me as I already use flickr.com. But when I think about it, there are photos I take of friends and family that I may not want to share with the world. I know I can set images to private on flickr, but I have to manage passwords and access for less technically-inclined family members. That’s a major hassle. With MobileMe photos I hope to download images from a camera, maybe make a few crops and weed out the out-of-focus images, then upload as quickly as my connection allows. I share the URL through email and I’m done. A nice side benefit: I can view those same albums on the iPhone and AppleTV. There’s file syncing and sharing via iDisk, the number two draw for me. Because this was painfully slow on .Mac, I turned to a service like Dropbox for syncing files between computers. If iDisk under MobileMe works as fast as the Apple demo shows, I can finally sync and share files like I’ve wanted to for years — and won’t have to wait for Microsoft’s Live Mesh to do so. Finally, the number three draw is whether or not other software applications like the Omni Group’s OmniFocus will be able to store and sync its data through MobileMe, allowing me to stay in sync with not only Apple applications but third party as well. Of course some consumers will balk at ponying up $99 for a year’s subscription to MobileMe. But it just might be worth the price. Hopefully we’ll know by this weekend. Gizmodo has a brief video of the MobileMe setup under iPhone OS 2.